“As a member of this family, the Cash Family, I was in awe of how incredible the performances were. Clive and Jill capture my Grandfather and Grandmother JUST as they were in this world they put a mark in. And not just the focus of the show, being those two talents, but the rest of the crew, absolutely brilliant. I have never seen a stand up bass spun around that fast, just to predict the perfect punctuation for landing! And don't get me started on the electric and the drums! AMAZING! I sincerely believe that there is an art form to 'tributing', but this was absolutely authentic to the point where it felt as if it wasn't a tribute, per say, it was a rock-n-roll gig! Given by some sincere rock-n-rollers! I am a fan! Officially, the World's No. 1 music production, celebrating the life & work of Johnny Cash. The only show to be endorsed by the 'Carter-Cash' family! 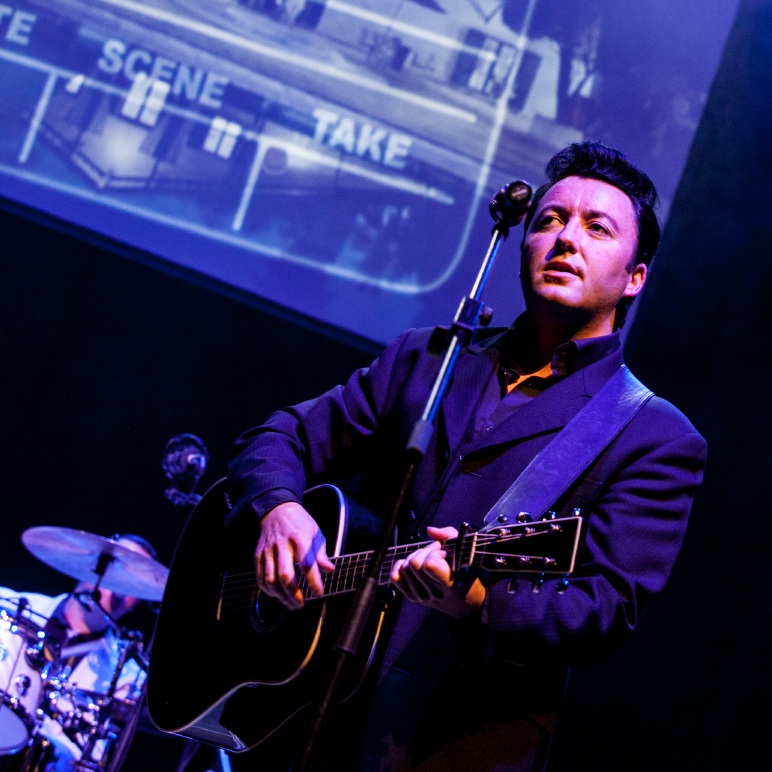 Welcome the Johnny Cash Roadshow, a show not to be missed by avid fans or the casual listener. This year prepare for a musical adventure unrivalled by any other that truly celebrates the career of a music legend, Johnny Cash. The UK’s No1 Tribute, fronted by respected singer/songwriter Clive John, with The Spirit Band, re-create with astounding accuracy and truly capture the essence of what it was like to be at a real Cash show! Featuring Jill Schoonjans as June Carter and two more talented ladies as the Carter Sisters, all aspects of Cash’s life are covered with impeccable taste.